Mia Wasikowska, Johnny Depp and Sacha Baron Cohen star in Disney’s fantasy adventure sequel Alice Through the Looking Glass. Watch the movie trailer below. The story revisits Lewis Carroll’s beloved stories with an all-new new tale. 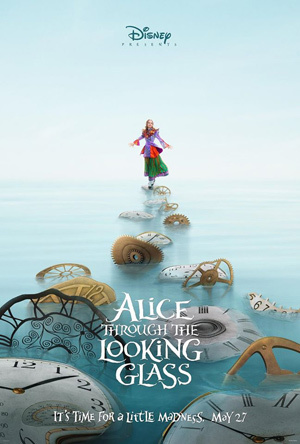 Alice returns to the whimsical world of Underland and travels back in time to save the Mad Hatter.